Coniston Shooting Ground is a great place to entertain your clients or build team morale amongst your staff. Over the last 15 years many well-known companies have visited our ground and have enjoyed the rural experience we offer. 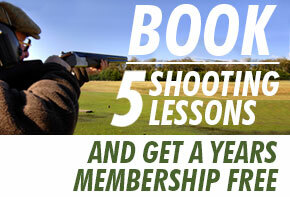 We cater for both large and small groups and can offer clay pigeon shooting and target shooting/or archery. The format of an experience here is: – Your party will be split into groups usually no bigger than 5 people with one instructor. You will be taken round a selection of stands, your instructor will show you how to safely handle a shot gun, your eye dominance will be checked and you will be shown the target, the whole lesson will take about 90mins. It can often be surprising who comes out on top! Target shooting and Archery are similar; one instructor working with a small group to encourage the participants to overcome any worries and enjoy the experience. We all know how competitive business can be and how a bit of competition is a good thing so we arrange a shooting/archery competition to find out who is the hot shot in your group! The fresh air and glorious setting of the ground often encourages a light hearted atmosphere which gets everyone talking and working together. Our club house is well equipped with a small meeting room available, catering can be provided (Our café page shows a list of what we provide regularly but special orders can be arranged please call for details). Please call us or use the enquiry form for details of how you can book a day. NOTE: Unfortunately no one who is pregnant can participate in Clay shooting due to health and safety regulations.